Mission of the Panda Warriors. If wewe don't know who the Panda Warriors are, then you're not a true KukixWally fan. I'm the panda with the machungwa, chungwa shirt. :). HD Wallpaper and background images in the Codename: Kids inayofuata Door club tagged: kids next door sector v characters. I LOVE this pic. 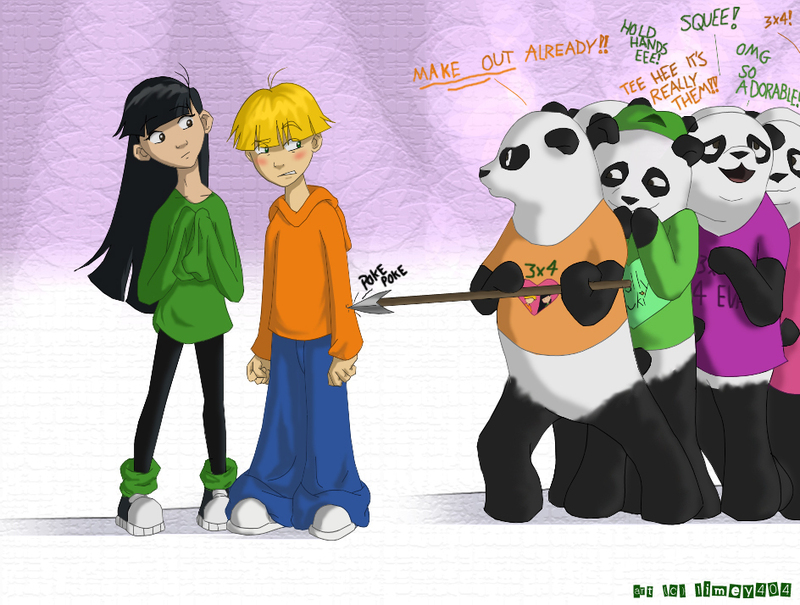 Anyways, I'm the orange shirted panda. I HAVE A SPEAR. FEAR MEH. Also, READ WHAT THEY SAY! Well, then I guess I'm not a true Wallyxkuki fan.